Dr Mary McMahon is an Honorary Senior Lecturer in the School of Education at the University of Queensland, Australia, where she has lectured in career development and career counselling at the undergraduate and postgraduate levels. Dr McMahon is a developer and co-author of the internationally recognized Systems Theory Framework of Career Development, which takes a holistic “individual in context” view of career development. She applies systems theory and systems thinking in her work on narrative career counselling and qualitative career assessment. Dr McMahon will deliver a keynote address at the Cannexus National Career Development Conference, Jan. 28-30, 2019, in Ottawa. 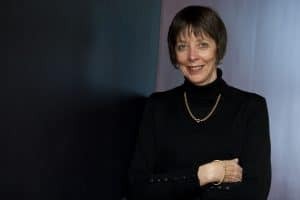 She is a co-editor (along with Dr Nancy Arthur and Dr Roberta Neault) of the forthcoming Career Theories and Models at Work: Ideas for Practice, published by CERIC and launching at Cannexus19. Describe why career development matters. Career development matters because it can offer a form of support for people who may have arrived at a challenging period of life in relation to their learning and work options. As practitioners who understand career development, it is easy for us to think career development matters. We need to remember, however, that others in the community such as potential clients and stakeholders may not know why it matters, and a constant challenge for us is, I think, to advocate for our field. Right now I am very busy with work and sadly, am not currently reading anything other than academic literature. When I do read for pleasure I most usually read crime fiction and enjoy the work of a range of authors. When I start a book, I like to finish it as soon as possible and I put everything else off until I get to the end. I like to walk in the park near our home every day and I regularly go to Pilates. I find going to the beach and swimming in the surf is a good way of unwinding. For me though, the best form of relaxation is to get away from everything by going camping. I would miss my diary if I lost it. I need to know each night what I am doing the next day so that I can visualize how I will manage it. When I am at home, I walk around the house and then sit down with a cup of tea. I try to read something different or do some smaller tasks before getting back to whatever I am procrastinating about. I like any kind of music. I’ve recently been to the musical Beautiful about the music and life of Carole King and I came away in awe of her talent. I would most like to work with an aid organization trying to learn from and make a difference in the lives of people living in challenging circumstances. I would like to have the power to make the world a kind, fair, just and peaceful place where differences are solved through respectful, open and honest discussion. I think pursuing my education has been my greatest achievement because of the opportunities that it has opened for me.